The WheelRite Pro Dust Extractor is an essential piece of equipment for repairers concerned with health & safety and the environment. It is a specially designed filtration unit for the general dust, and more specifically the aluminium dust, that is created when grinding and polishing alloy wheels. The explosion-proof relief panel is of paramount importance when repairing alloy wheels, as aluminium dust is a potentially combustible material. The automatic filter warning light acts as an extra safety feature, giving the operator ample warning to empty and clean the filter. This allows the operator piece of mind when working with the machinery. The WheelRite Dust Extractor has many features designed to assist both the operator and the environment. 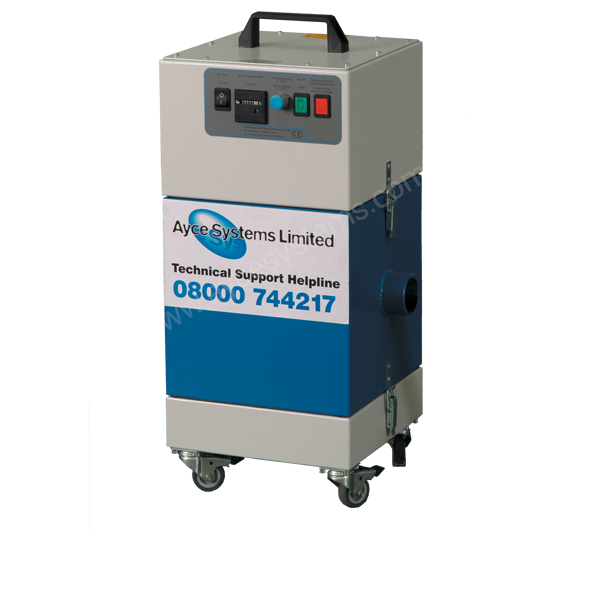 For more information about our Dust Extractor click the button below to download the print friendly PDF brochure, or if you would like to receive a quote for this system, please click the request a quote button.